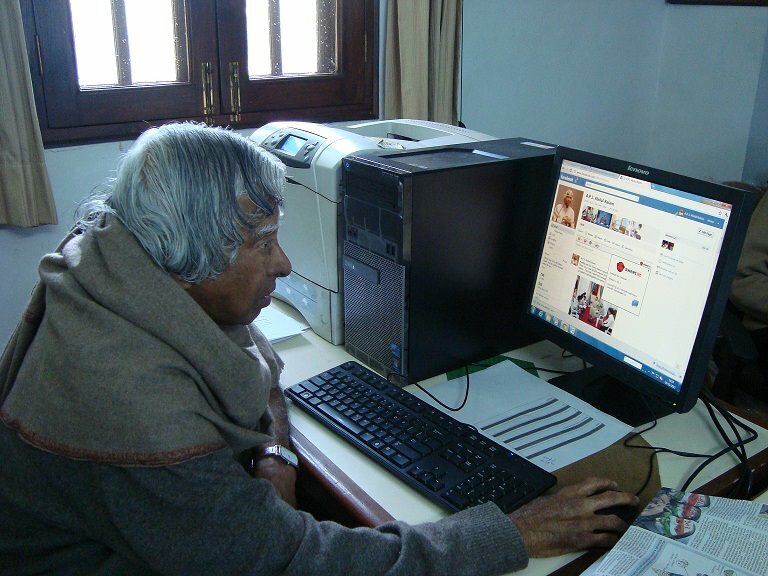 Dr. A.P.J Abdul Kalam is Officially on Facebook now ! The Missile Man of India, and Former Indian President, Dr.A.P.J Abdul Kalam is Officially on facebook now.He has started his own Facebook Fan Page to interact with the youth of the Nation. The Page's about part says : "This social networking page will closely follow my travels, experiences and will update it with new ideas for the youth of the nation to connect and evolve." 16 Respones to "Dr. A.P.J Abdul Kalam is Officially on Facebook now !" !!! MAY PEACE SHOWER UPON YOU !!! I bow my head to your greatness with all divine feelings for development and welfare of society. I wish to contribute to the society. I feel pang with every vision/sound of human sufferings due to inhuman activities across the world. Sir, with all my humane feeling for universal brotherhood I am compelled to prepare a “String Theory on Global Peace and Global Economy” that can pacify the whole world and uplift the global economy. The theory has the potency to eradicate most of the social maladies e.g. corruption, terrorism, intercontinental war, cyber crime, kidnapping, murder/killing, robbery, theft, educational discrepancies, poverty, religious tussle, provincialism, untouchability, false advertising and all activities what we know as illegal in our society. The theory is based on few mathematical formulae. It can drive the Globe into the orbit of lasting peace and reinforce Global Economy in no doubt. I am eager to share the same if I am given an opportunity. can you help us ??? 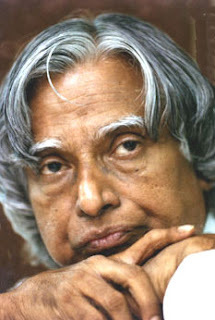 Belated birthday wishes kalam jiiiiii.....we love you always.. I am studing in bahrain.In class 7.I met u sir at bahrain in Indian school.I was very happy.I am a big fan of u sir. Our golden inspiration has passed away but his inspirational speeches and words doesn't, instead his inspirations are being imprinted in every cells of humans in this world.